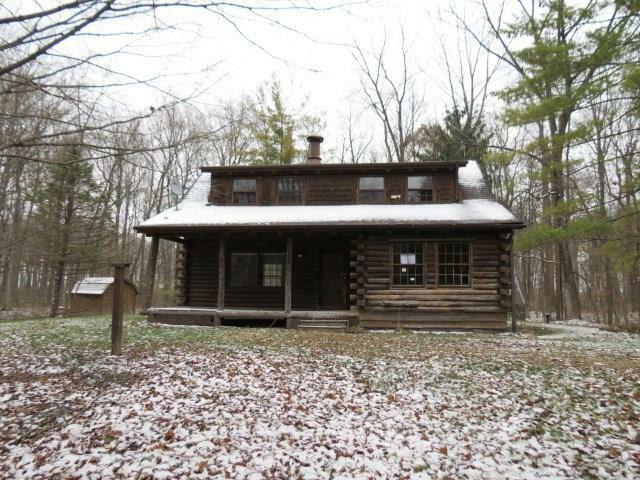 Log home on 6.07 wooded acres. Winding and wooded drive takes you to this unique home and includes a pond in front of the house. Covered front porch. Home features 2 BR's and a loft upstairs. Main level is the LR, Kitchen-DR combo and a small den. Lower level basement has a FR with wood burning fireplace. Case # 156-004084.